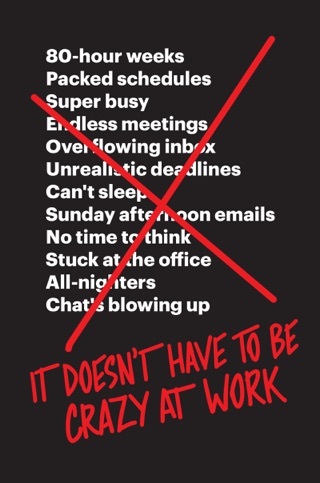 You don’t have to go to work to work—so argue innovation evangelists Jason Fried and David Heinemeier Hansson in the surprisingly enlightening Remote: Office Not Required. 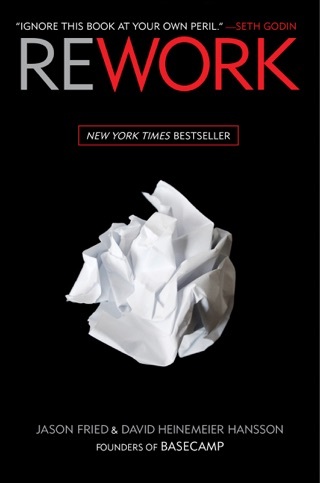 The authors—whose previous book, Rework, was a guidebook to cultivating the entrepreneurial spirit—employ studies, interviews, anecdotes, aphorisms, and stylish illustrations to make the case for the move away from the traditional “office.” The book offers practical tips for aspiring remote workers and managers, ranging from staying motivated to using Apple’s built-in FileVault for enhanced security. 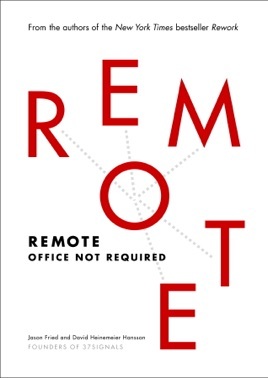 Remote is a carefully considered critique of the modern workplace that’s as engaging as it is convincing. 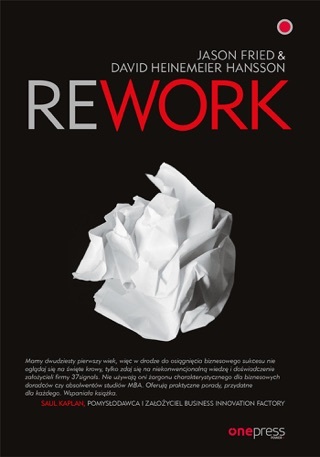 As cofounders of software company 37Signals, which provides tech architecture for telecommuters, Hansson and Fried (authors of Rework) are great believers in working remotely. Eager to proselytize, they offer a short volume extolling the virtues of telecommuting, detailing the benefits to both employer and employee, and explaining how to introduce the concept into a company. In seven sections and a conclusion, the authors attempt to provide guideposts on some of the major issues, such as how to convince management to allow employees to work outside of the office. 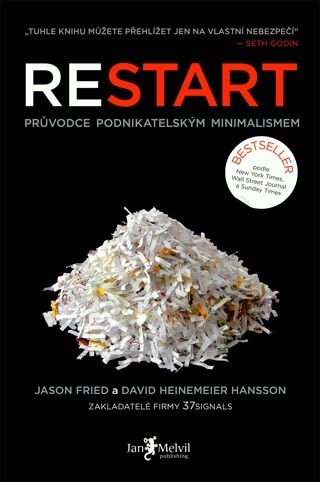 While the book s overall organization is reasonable, the individual chapters are so brief that they give the impression that Hansson and Fried have extremely short attention spans. Although 37Signals clearly prospers under the management strategy extolled here, the authors appear unaware of the difficulties of telecommuting in some sectors (for instance, in the service industry). Hansson and Fried s amateurish and haphazard case fails to convince, not because it lacks merit, but because the authors seem to be phoning it in. 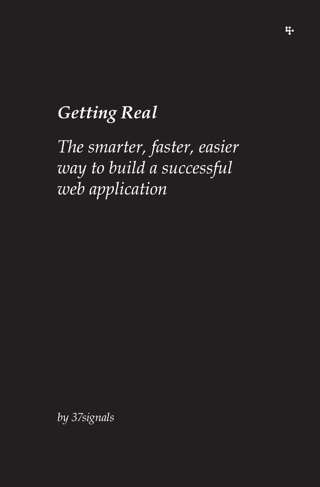 If you're even lightly interested in remote work, this book is the missing guide you've been waiting for. It not only covers why and when remote working makes sense, but also how you can avoid the pitfalls and manage employees who work remotely. It's a short read and clearly written book. 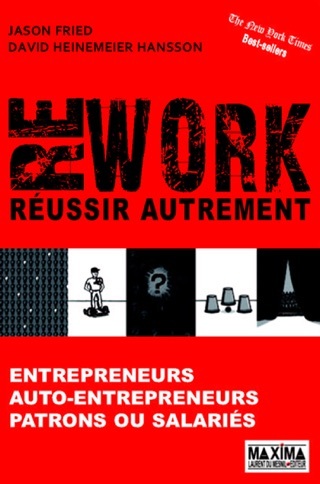 i really love the idea of this book, and i am actually start doing the same thing, but it seems the 37signal have around less than 50 employ in total, i guess it would be hard to manage if the company grows fast, for example 500 people work remotely?